House designs for December 2017 starts here. 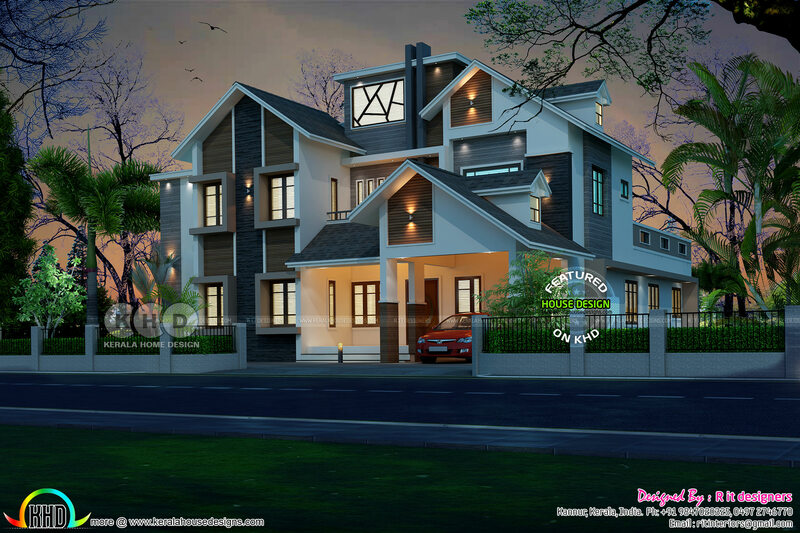 Showcasing a 3605 square feet (335 square meter) (401 square yard) 5 bedroom modern sloping roof home design. Design provided by R it designers, Kannur, Kerala. Total Area : 3605.33 Sq.Ft. 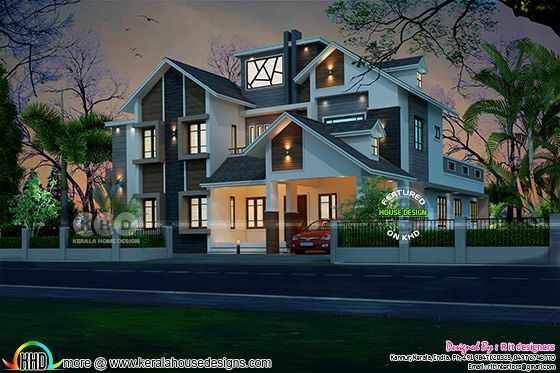 0 comments on "New modern 5 bedroom mix roof home"